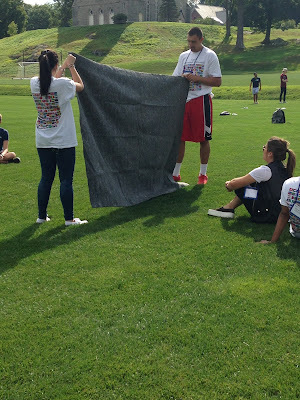 International Ambassadors 15-16: NIS Orientation Activities! Our new int'l students are off to a great and busy start! 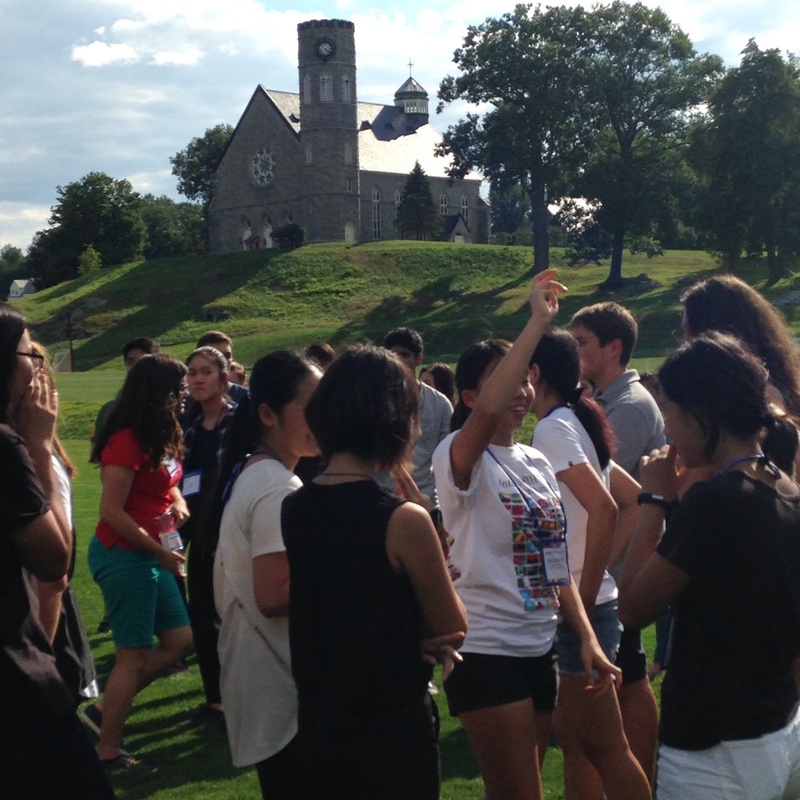 Yesterday, while parents attended a separate informational meeting, the International Ambassadors organized outdoor activities to keep the new students active and continuing to get to know each other! Following the dinner in Alumni Hall with their advisors, the students and IAs attended a campfire hosted by Dean of Students, Nicole Hager, where she showed them how to make the best S'more! Today they went on a campus-wide scavenger hunt to get to know their new home better. The international students have a lot of positive energy and will meet the new domestic students that arrive tomorrow! The Int'l Ambassadors separate the new int'l students into 6 different groups to take part in activities! Students play the "WA!" game. Who is sitting behind the sheet? After tying a blindfold around the students head, the other student verbally guides them through an obstacle course. IA, Brian Lee, guides a new international student through the course.